Wisdom tooth extraction is the only way to save one from the pain of an impacted wisdom tooth. Also known as the third molars, the wisdom teeth are usually the last permanent teeth that appear in the mouth. Many people don’t have a problem with their wisdom tooth, but there are others who end up with an impacted wisdom tooth. This means that the tooth doesn’t have enough room to grow properly. It may sit below the surface of your gums or only partially come out. Some people take prescribed antibiotics to get temporary relief from the pain caused by an impacted wisdom tooth. 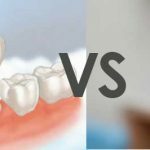 Infection, severe pain, bone damage, damage to the tooth near the impacted wisdom tooth and development of cyst around the wisdom tooth are some of the most common problems that can occur due to an impacted wisdom tooth. These problems can be severe, so extracting the impacted wisdom tooth is needed. Wisdom tooth extraction can help those who are suffering from a lot of pain. 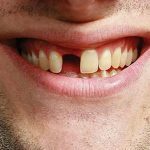 Even if the tooth is not causing pain, removing it may be the best option as well. The wisdom tooth may cause problems in the future such as gum disease and tooth cavities, so extracting it in advance may be your best bet even if you are not experiencing any symptom at the time. You should visit your dentist as soon as possible if you are suffering from pain. He will most likely recommend the procedure and get it done as soon as possible. You will deal with some pain after the procedure, but you’ll be back to normal soon. Talk to your dentist about what you can expect during the process. Ask if there are specific instructions that you may need to follow after the wisdom teeth removal. You may also need to get someone to drive you home after the procedure. This decision, however, depends on you. When is the Best Time to Remove the Wisdom Tooth? The wisdom tooth usually causes problems when the body is under a lot of stress like moving to a new place or during exams. When is the best time to have your wisdom tooth pulled out? The best time for the wisdom tooth extraction is actually when the tooth is about 2/3 of the completely developed size. It’s usually during late teens or early 20s. Wisdom tooth extraction can be done in two ways. The most common process is removing all 4 wisdom teeth under local anesthesia and intravenous sedation. You can also choose to unilaterally remove one side two at a time under local anesthesia. The time period is usually three to six months apart. Remember that the wisdom tooth can cause various dental problems such as pain and infection when it does not have a lot of room to grow. Impacted wisdom tooth extraction can help get rid of the pain as well as prevent further dental concerns in the future.